Ted’s father, Edward S. Rogers Sr., laid the foundation for a proud tradition of simplicity and speed as early as 1924. At that time, radio receiver sets involved three large separate batteries and a mass of wires. Edward S. Rogers Sr. changed all that, inventing the first radio tube in the world operating from household electric current. That meant people only needed to connect their radios to their home electricity, then they were good to go. This revolutionized the industry, and was a leap forward in home entertainment. In fact, the first Rogers Radio slogan was ‘Just Plug In ~ Then Tune In!’ It was that simple. Seven years later, Rogers On Demand Online offered those movies and shows as web-based entertainment streaming – a first for Canada. 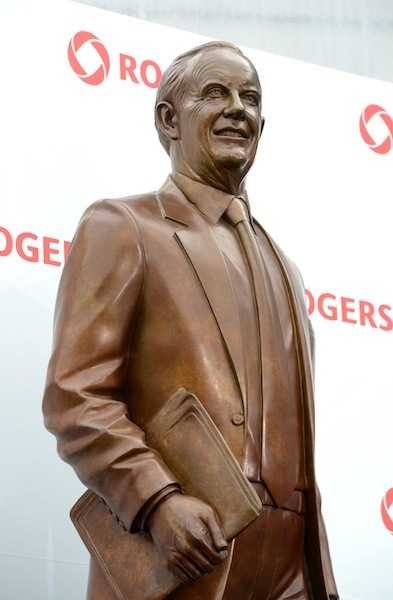 It’s clear the entrepreneurial spirit in Ted Rogers was influenced by his father, who helped changed the way we listened to radio.